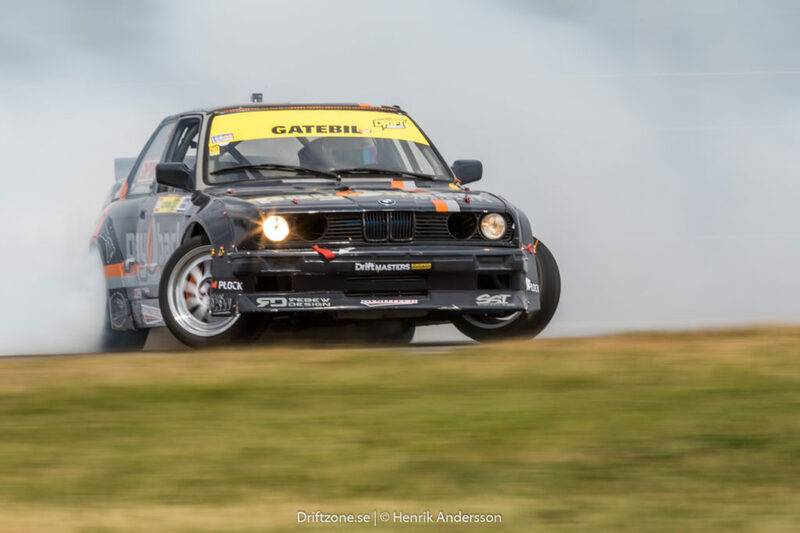 We made a phonecall to Jim Olofsson to get the summary of his first year as a full-time pro-drifter, competing in three series, and races in seven countries. 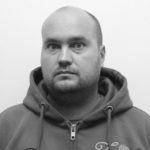 A lot has happened for the son of Bjurholm and his team, so get ready for a good long read! 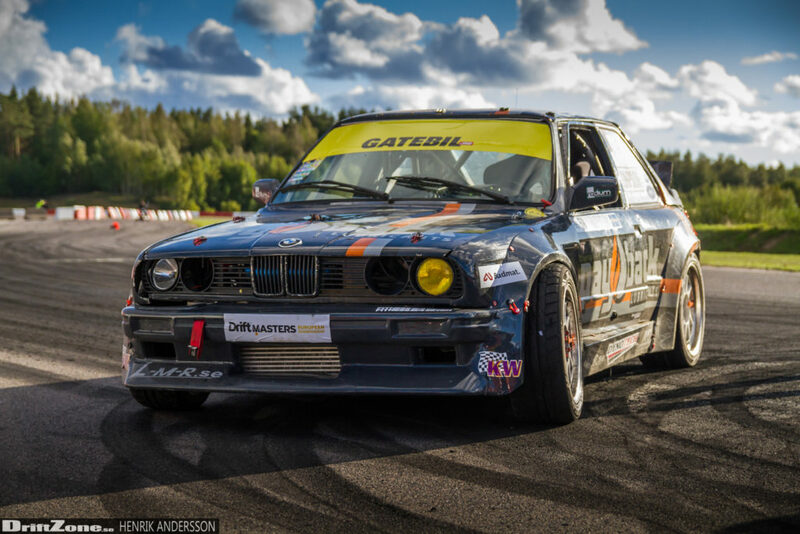 The series Jim was competing in was Swedish Drift Championship (SDC), Gatebil Drift Series (GDS) and Drift Masters European Championship (DMEC). SDC: A second place, a ninth place, a sixth place and finishing with yet another second place, which lead to a fourth place in the series total. GDS: A sixteenth place, a second place and a first place. Jim missed out on the third race, but still managed to end up a fourth place in the series total. DMEC: Placing 46, 32, -, 17, 32 och 16. Ended up as number 30 in the series total with a score of 94 points. If we begin by taking the series one by one, starting with SDC, what’s the feeling like now when the season has ended? – Well, I’m pleased. Especially considering how the season turned out. It’s been a few ups and downs. Maybe I’m a bit bitter about the ninth place in Skara, but it’s is a sport based on judgements, and the judges couldn’t see everything and they didn’t have a camera-angle to use for looking at a re-run. You was the number one qualifier at that race, correct? 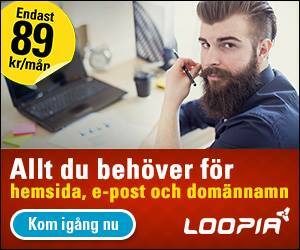 – Yes, that’s correct, and I battled Jocke Grahn in the first battle. Jocke is a really tight driver and when we changed direction at one part, he lifted my bashbar a bit. You could barely see it, but it became a tiny delay, and I lost my leadline by a meter or two. But, like I said, it was hard to see, especially when there was no re-run to watch. 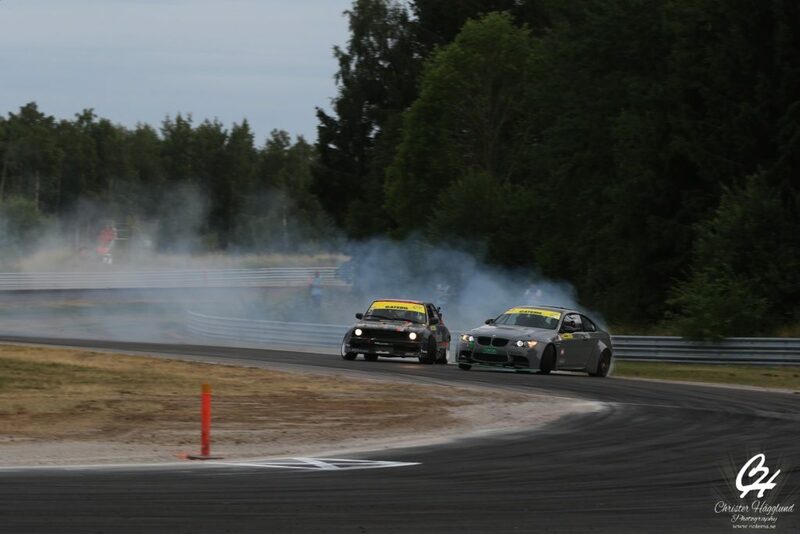 -At GTR Motorpark we were mostly happy to have the car in working order again after the crash in Riga, so a sixth place in that competition was great. Even though we still had crooked rear suspensions. 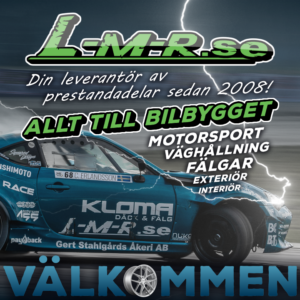 And then you had two second places, in the premier at Mantorp Park and at the final at Sundsvall Raceway? – Yes, you got to be happy with those. What do you think about the proposed changes to SDC 2019? – I think it’s good, I think it evolves the sport in the right way. People got a bit scared that RM would disappear, but it won’t, it will be a part of Sverigecupen and will not be driven at the same time as SM. I think it will be for the better, maybe there will be a few messy battles, but as a whole I think it will make the series better. If you imagine a driver from the middle in last year’s RM qualifies and get to battle a driver from the top of SM, don’t you see a risk that there will be to big differences? -Well, that could of course be a bit negative, but if you are a routined driver you have to back off a bit in the beginning, and then go in close to show that you’re in it all the way. But it will make the sport better, I’m sure of it. Then there has been talk about minimum requirements regarding tire width and that you have to race on semi-slicks and so on, I don’t believe in that at all. You don’t do that in DMEC either, there you evolve with time, you can’t avoid the fact that drivers want to drive with stickier tires and all that. But to set a minimum feels like the wrong way to go. You have to adjust to others, and actually pay attention at the drivers meetings. Much of what has been discussed and has been seen as problems regarding races and judging’s, has actually been discussed already at the drivers meetings. But lot of the drivers doesn’t pay enough attention, and then they get angry when they do something wrong, even though information has already been presented on what to do and what not to do. Could it be a question of routine, to be able to understand what’s being said at the meetings? – Maybe to a degree, but in some cases the problem is that you don’t listen, and you have to listen to be able to evolve. 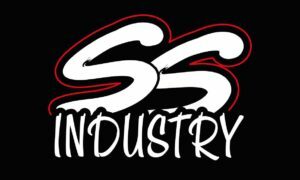 If we move on to Gatebil Drift Series, GDS, how do you feel about your performance there? – It didn’t start so good. We had some problems in Norway, partially due to a gear ratio that really didn’t fit the track at all, and partially because we made a little overload and made a dirtdrop at a place where we’d already asked for the track to be fixed. That had not been done, so we wrecked the car a whole lot. 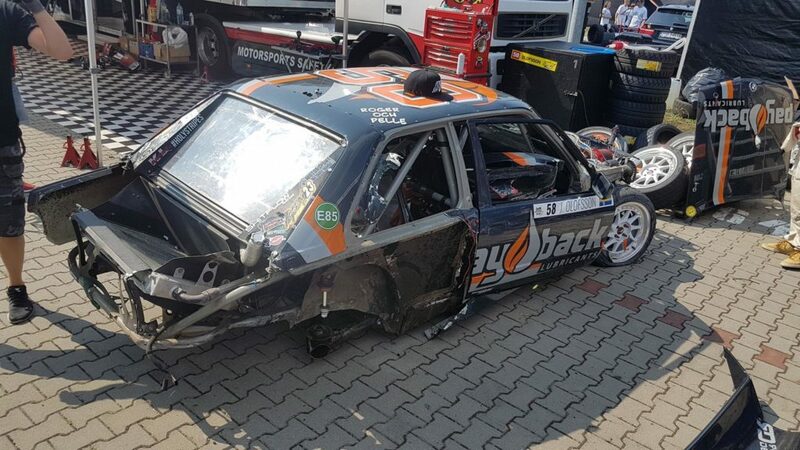 However, Gatebil took responsibility for this, and admitted that they hadn’t fixed the track. Good of them to do that! – Yes, that went well, I got a second place there. 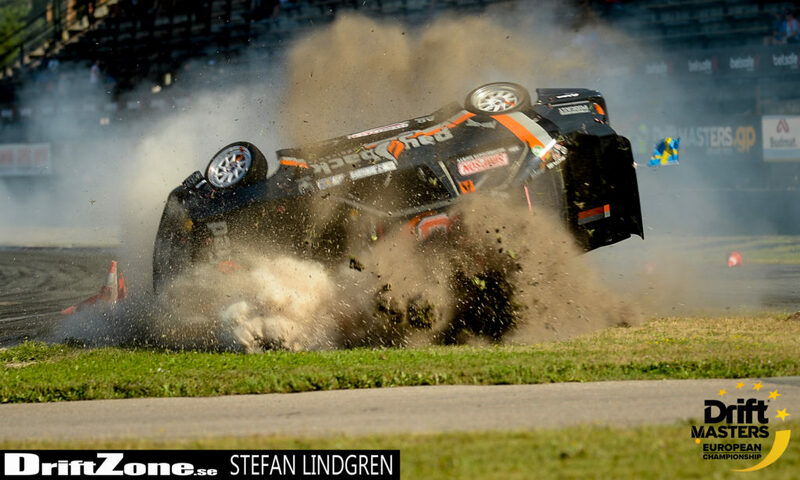 The third race, at Rudskogen, we unfortunately could not attend to. 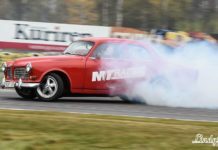 We were at an event with our main sponsor Payback Lubricants, so we had to pass that one over. I think we stood at seventh place after that, but thankfully we managed to advance to fourth place after having won the last race in the series. It’s a shame about the third race then. – Yes but I’m very happy to have raced in three different series and to have only missed out on one race due to another event, and I have always made it to the starting line. How do you compare GDS 2017 to GDS 2018? 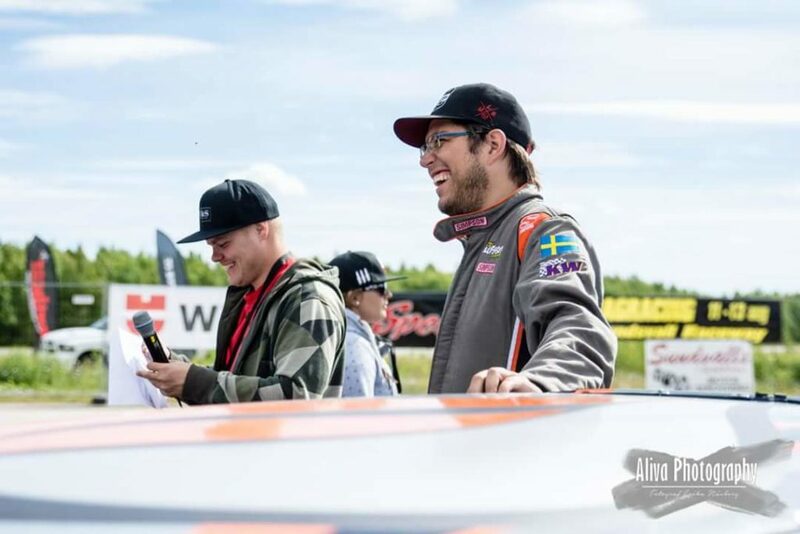 – I think it has evolved to what it really is, you can’t really say that it is a pure racing-series since it’s being driven together with Gatebil. It’s more like a show-series with invited drivers. And that’s where I think it has grown and become something really good, with all the possibilities for practicing and the compromises that one has to do and so on, it works really well. Will you be driving GDS 2019? – Nothing is set at this point, much depends on how the dates are set between all the series, so that we can be at all places. But the idea is to be able to take part in GDS if it is possible, absolutely. If we turn our heads to Drift Masters, which I guess we can say was your main focus last year, how do you rate your performance there? – I have grown very much and I have gotten a lot of positive feedback from the judges during practice, among other things. There have been some tough qualifications and some hard battles the times we’ve moved on from qualifications, so it has been rough. But it’s been very evolving for me. We said early in the beginning of the season that this is a trial-yeah, where we try to find our place and to see what the level is. We need to optimize the car for me to be able to fully concentrate on the driving. Not to be forced to compromise. So we need to be able to adjust the car to the tracks in a better way. What do you say about the level of the participants 2018? – There are some that’s not been successful at all, from a few different countries. But the battles have been really tough. Top 35-40 are really skillfull drivers, but the last 20 have been a little so-so. But that works itself out during the qualifier and then we go in to the hard battles from top 32 and onwards. At times we’ve seen top-drivers slipping far down in the qualifiers, which makes for really tough battles already in top 32. – Yes, and that is because of the really hard requirements in the qualifiers, all mistakes you make drops your points a lot. The drivers meetings in Masters were so much more detailed than the meetings we have in SDC and GDS. Much is regulated in detail, and there is not a lot of freedom in the driving. That makes the points drop very fast when you drive besides the line. At the top of the bracket then, what do you think about the top-drivers? – They are some of the world’s greatest drivers up there, no doubt about it. We have James Dean, Grzegorz Hypki, Pawel Barkowski, and not to skip Pawel Korpulinski. Everyone in top 16 have the ability to win a race, it’s that tight. 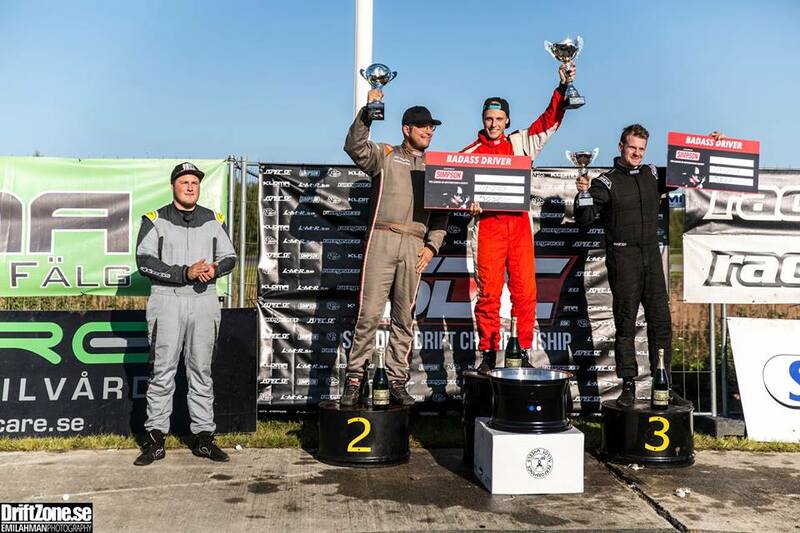 Almost everyone in a top 32 has merits such as winning their own national league, winning Drift Allstar-races, King och Europe and so on, so they are extremely skillful drivers. This will be the world’s greatest drifting series. 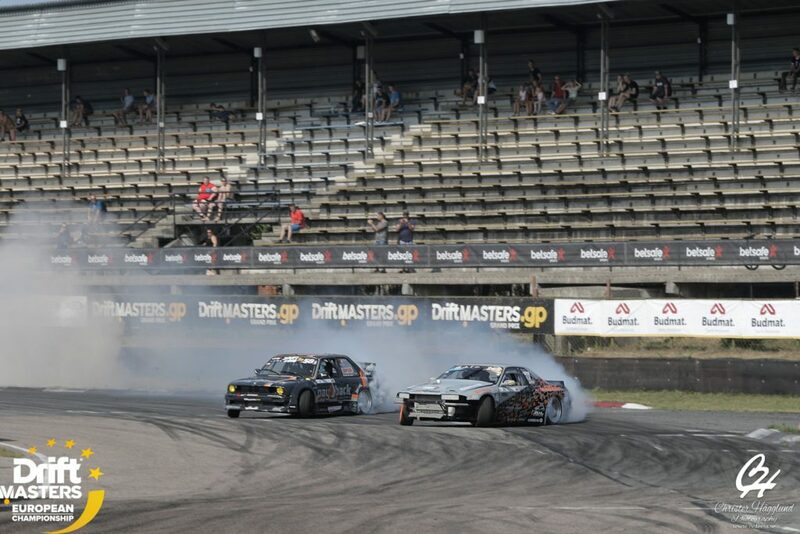 We already know that there are drivers from Formula Drift who is interested in driving the whole Drift masters series next season. A lot of things have to fall into place before we are there, of course, but your goal is to participate in DMEC 2019 aswell? – My goal is to compete in DMEC another season, yes. We will make some touchups on the car so we can compete on a more equal level. So that we can adjust the car to the tracks in a better way. But Masters is the mail goal for 2019. You mention the car, it has seen a few things during the season. – Absoutely, it started early at Vålerbanen in Norway, like I said. At the first Masters-race we broke the powertrain three times, so we couldn’t qualify there due to lack of practice. Then we fixed that, but it has been hitting a few walls here and there. But the chassis has actually done very well. It’s the front strut tower that’s gotten quite the hit. We’ve been through three front suspensions, one whole setup of coilovers, five control arms, one rear suspension bridge, a lot of bodyparts and so on. But you are not building a new car? – No, we are not building a new car at this time. We will give this one some updates and drive it through next season, then I will decide what to do next. One upside to all the things that has happened to you is that you and your car has gotten a lot of attention in livestreams and so on. 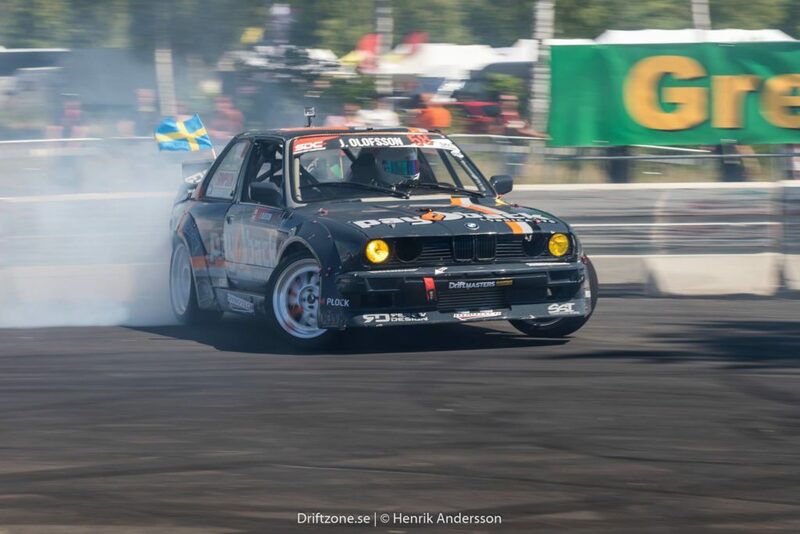 There are probably a lot of driftingfans who know the name Jim Olofsson from Sweden by now. – Yes that has been good, and our corporation with Simpsons has been shown in a very good way. But they are good at showing off almost every driver and give all of us an opportunity to be seen. We just hope to be able to make a better achievement next year. In the lineup we can see a lot of polish driers. Maybe too many, was a thought, before the series took off, and you could really see that they all deserved to be there. Reflections? – This is from the beginning a polish series, they have been racing a lot of years, with many tight battles which has lead to the fact that the polish drives “lowest” level is still high. The same goes for the Irishmen, they have a very even and high skill-level. We here in Sweden can give most of them a run for their money, but they have so many at that high level. If we try to sum up the year as a whole, your first year as a full-time pro-drifter. The year is over, how is the feeling in your body? – The goal we sat for the season was that we were to follow through the things we had said we would to, and that we did so we are very happy with that. But the feeling now afterwards is that this was a much greater task than we had imagined it at the beginning. It’s taken extremely much energy just to plan and organize the whole thing. Everyone should get the chance to see how much effort it takes. We’ve been working on this every day since Easter. I think we’ve had one week off in six months. I am so grateful for the team I have had, André, Johan and David who’s been there for me. Especially André who’s taken time off to be able to accompany me on all of this. – Many, we thought for example that we had been quite generous with our budget, turned out we hadn’t. Out budget ran out, so it was a challenge in the end of the season to make everything work. So now we have to look over the year that has passed, and make a better budget for next year. We are hoping there are enough people who wants to support what we are doing. But you don’t see it as impossible to participate in three series even next year, if everything falls into place? – We will see. If we can’t drive them all, then SDC and GDS will be the ones who will suffer. The upside to SDC and the new Swedish championship is that the race itself won’t suffer if a driver can’t race one specific race, when there are so many drivers in the series. I’m hoping for at least a few Swedish races, but with a main focus towards DMEC. But we will not be killing ourselves trying to go everywhere as we have done in 2018, it has been a real challenge. It has been awfully demanding. We’ve counted over 40 000 km in travelling last summer! – Yes, so there are rules regarding how long you are allowed to drive and how often you need to take brakes, and so on, we can’t just drive all the way to a race without pauses. It takes quite a toll to go by truck like that, getting there, building everything up, serving the car, racing, tearing everything down, and then back on the road again. Looking at all the time we spent this summer with just to people, it adds up to a full time job for three people. Well, it sounds like it could be an exciting year next year as well. – Hopefully it will be, but there are a lot of things that has to fall into place. In the end, the money rules everything. We’ll see if you are accompanied by a few more swedes next season. – It remains to be seen, but of course I’m hoping for more of us driving. The ambition from DMEC is that everyone who enters and get accepted will be driving the whole series. 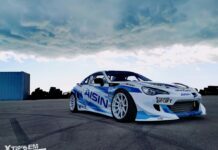 Besides the interest from Formula Drift, there are a few Irishmen who is expected to drive, and also a few BDC-drivers. It will be a tough sorting and it is going to be very exciting to see the lineup next year. With that we leave Jim, and wish him a nice long vacation in Los Angeles where he and his friends among other things will be visiting the Formula Drift-final at the classic Irwindale. We also wish him luck in getting everything into place to the season 2019. We will be covering an evetual investmen in DMEC 2019, that’s for sure!